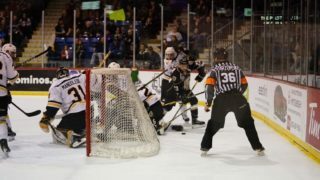 To say that Matthew Welsh is adored by the Charlottetown Islanders faithful may be an understatement. 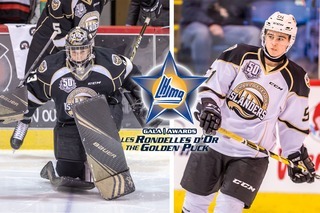 The 19 year-old netminder took home an astounding seven out of a possible twelve awards at the 2019 Fan’s Choice Awards, including Most Valuable Player, Fan Favourite, and Player’s Player Award. 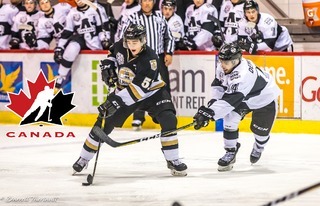 Welsh was among five award winners on a night dedicated to celebrating the 2018-2019 Charlottetown Islanders season and sending home the Islanders players for the summer. A full house of fans and Islanders family members filled the Georgian ballroom in the Rodd Charlottetown for laughs, foods, and great memories of the season that was. The awards portion of the evening kicked off with Moosehead Territory Manager Socke MacDonald presenting Matthew Welsh with the Moose Light Three Stars Award. This trophy is awarded to the player who received the most nods as one of the three stars at home this past season. Welsh finished the year with an incredible 41 Three Star points. Bernadette Praught and her son, Noah Frizzell, ascended to the stage shortly thereafter to present Liam Peyton with the Hardest Working Player award. The Hardest Working Player is presented to the player fans recognize for their hard work and determination on the ice. 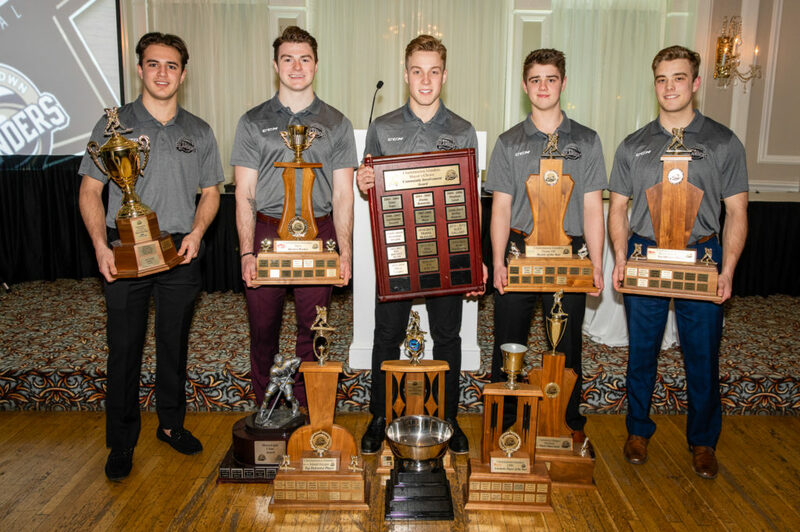 For Peyton, it’s a big honour to win the same award that current teammate and Hunter Drew and former Islander Pascal Aquin have won before him. Oh my gracious, check out the final goal of the game! Mayor Philip Brown presented the Mayor’s Class Act Award on behalf of the City of Charlottetown to Welsh, for his commitment to being an upstanding citizen in the greater Charlottetown community. “It’s an honour to be on this team and giving back to our community is a huge part of that. Our whole team does a good job of that; our organization does a great job of giving us the opportunity to give back.” said Welsh regarding the honour. Lukas Cormier was the next award winner, taking home the Ocean 100 Rookie of the Year. Cormier put together an incredible first season in the QMJHL, scoring more goals than any other 16 year-old defenseman in QMJHL history. 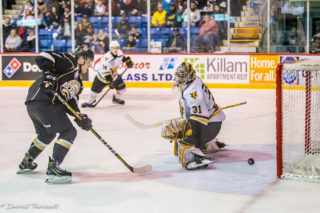 Matthew Welsh would make his way back to the stage for the next two awards – the Eastlink Fan Favourite Award and the Island Oxygen Defensive Player of the Year. Welsh is a now a four-time winner of the Fan Favourite Award, having won it every year since his 16 year-old season. Diane Lidstone was named the Maritime Electric Volunteer of the Year for all her tireless efforts in making the Charlottetown Islander experience the best that it can be. Diane is often the first smiling face many fans see when picking up tickets from the Will Call window. Islanders assistant coach Brad Mackenzie then hit the stage to award Daniel Hardie the Moore Well Drilling Offensive Player of the Year. Hardie had an incredible final season of junior hockey, recording 34 goals and 44 assists to lead the Islanders in scoring. “I owe a lot of credit to the boys and to our coaches for believing in me, and obviously the fans for cheering us on.” said Hardie on his success this season. Welsh capped off the evening by winning the final two awards – The Red Shores Player’s Player Award and the Arsenault Bros Construction Most Valuable Player. Welsh was the player deemed to be most valuable to his team by both his peers and the Islander fans, something that he treasures. 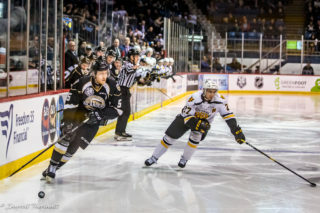 The Charlottetown Islanders organization would like to thank everyone who came out and showed their support to our team one last time this season. We can’t wait to see you next season!